The indie musicians need to earnestly thank their stars because today is the best time to be an Indie musician. Coming from the dark days of gloominess to these glorious times has been a tumultuous bittersweet journey for the indie musicians. From the times when there was next to no platforms for Independent artists to these days when there are so many websites and TV channels- launched recently- to upload, share and promote their music, the indie musicians have truly seen it all. Gone are the days when the indie musicians used to lament about the lack of platforms to showcase their musical brilliance and expertise. The indie musicians around the country have got a new best friend – Songdew TV. Songdew – India’s largest music network is the only platform in India that lives to give shape, name and fame to the artistry of the talented indie musicians around the country. Recently this company launched its satellite TV Channel named “Songdew TV”. 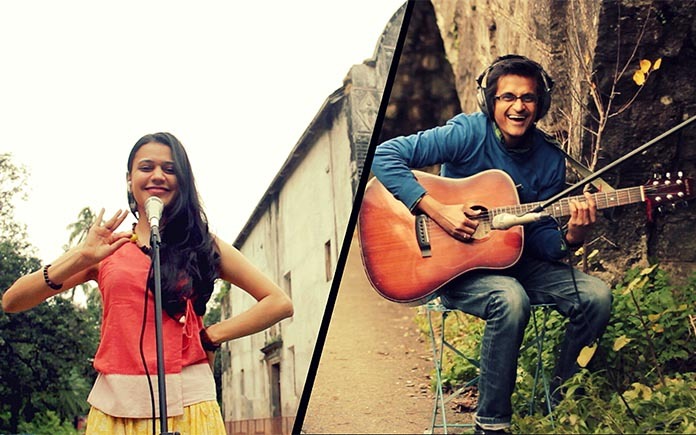 The channel is first of its kind to showcase the gifted indie musicians 24x7. It has no fear of getting lost in the wide space of music channels on television as its content is totally unique – its focus is only on indie musicians and artists- something that no channel has until now. Though MTV Indies tried to create a platform with the help of Viacom 18 network and Pepsi but it later turned into MTV Beats- that plays Bollywood songs. Songdew TV channel has partnered with Direct to home (DTH) platform Videocon d2h as an all-day active service that promises to reach 15 million households. The channel has also partnered with over the top (OTT) platform YuppTV which is accessed by 10 million families. This whopping numbers coupled with the adroit strategies is a clear sign that suggests that the channel will spread around the country like a wildfire. Though the internet has found its space in almost all parts of our life but it has not been able to compete with satellite television in terms of its availability and reach. There is gamut of people in the nooks and corners of our country that are still oblivious to the internet. This is where the satellite television boast its reach and availability. Apart from targeting the 25 million household around the country Songdew TV is keen on targeting those brilliant indie artists who reside in those dingy corners of the country but are skilfully cut out for being the resplendent star of this generation. According to the facts, the Songdew TV channel will consist of 50% Hindi, 30% English and 20% regional music. Though the prime focus would be towards the Hindi and English speaking crowd but the regional songs will focus towards the colossal market base in Punjab, Bengal and Maharashtra. Besides that, the channel has lined up exciting shows like Meet the Music, Track Tales, Songdew Unplugged, World Street Music etc. The channel features excellent bands like Indian Ocean, Astitva, The Yellow Bucked, Sifar, Diara, Shadow and Light etcetera. Songdew TV also conducts band enquiry through TV apart from having tie-ups with big names in the country like Future Group, Coke, Fab India etc. who generate tons of exciting opportunities for the indie artists. To simply say that Songdew TV is a magnificent opportunity for Indie artist would be an understatement. Songdew has completed a 360 degree approach by focusing on Website, Mobile Application as well as satellite television. With the burgeoning of talent across the country Songdew TV is laying out a significant platform to upload, promote and share their creativity. Now the indie artist need not visit the traditional labels for promotion of their music video or audio track, ‘coz Songdew TV channel would promote their videos apart from the company’s aggressive web based marketing and promotion through social media handles. All in all this outstanding launch of Songdew TV channel has been one of the greatest blessings for the indie musicians across the country. It is a one stop destination for collaboration, creation, release, promotion and distribution of indie music. Not just for musicians but music lovers who are tired of listening to the usual melodramatic Bollywood tracks, this channel is like a breath of a fresh air.